Trying to clearly define the kinds of marketing that are important in today’s digital climate can be a real challenge for marketing teams. It’s our mission to help you prioritize your digital marketing strategies for implementation. Whether digital marketing works better than traditional marketing. How to “catch up” and get ahead of your digital marketing strategy (especially if you haven’t been doing much yet). The merits of partnering with a digital marketing firm or agency versus hiring additional staff members. 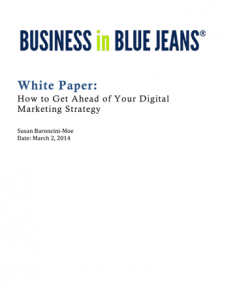 Where to start immediately to begin implementing a successful digital marketing campaign.